Membership support helps the society further our mission of collecting and preserving printed documents and museum pieces which establish and illustrate our local heritage. 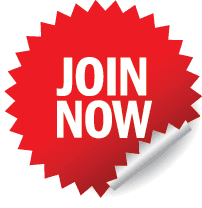 Organizations/Institutions may become members by making an open donation. Download the membership form and mail a check or money order to the WCHS. Members in good standing may submit ONE 50-word query plus name and address for each newsletter. Additional words are 15 cents each. Please do not abbreviate. Dates -- "2 June 1874" -- count as one word. All SURNAMES should be in CAPS. Nonmembers may submit queries at 15 cents per word. July 1st for the September Newsletter. If you join after January 1st, you receive a 100-word query for the next September newsletter. If you join after July 1st, you receive a 100-word query for the next February newsletter.